I wanted to share with you some very exciting news. Part of our mission and responsibility here is that we actively work to conserve and protect the sacred land of CI. A significant development has been in the works for the last few years. We were offered the opportunity to extend our land stewardship through the acquisition of neighboring acreage that is contiguous to the original 280 acres of the Institute land purchased by Felicitas in 1964. We now have the great privilege to announce that we have added two parcels of beautiful land totaling over 192 acres. So this means we have expanded the land of the Cuyamungue Institute to over 470 acres! The above banner is a recent photo taken of this additional land. Of course, this undertaking and acquisition was inspired by the original vision of Felicitas. So we have a embraced our role to assist in the conservation of the surrounding area by adding this land. This purchase will prevent development, or significant changes to the land that surrounds us and leaves it in it’s natural magnificent beauty. Here is the amazing part of the story and the reason we are able to even consider a land purchase. This property was purchased in 1964 about the same time as Felicitas bought her land. Being land locked the owners felt there is little they can do with it. When asked about price, they generously only want to recover the purchase price – from 50 years ago! We immediately contacted a few major donors from the past and they were thrilled to help us secure the land. However we are not done. If you would like to contribute to the purchase of this land, we have a set-up a Land Conservation Fund and any donations of any size matters. Regardless of the amount, we understand giving requires some level of sacrifice on your part. Every donation makes a difference and collectively, all of our donations impact our community in a significant way. 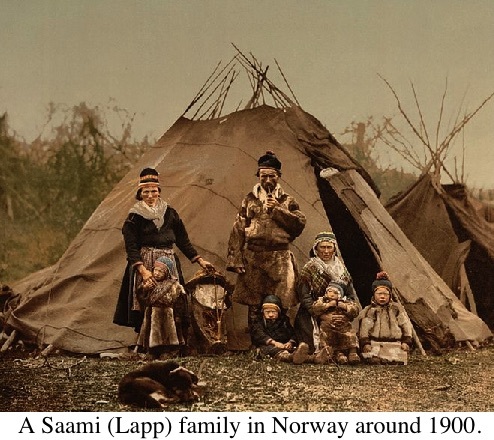 Also included in this issue: The Saami, Scandinavia’s indigenous people, live in northern Norway, Sweden and Finland and north-western parts of Russia. 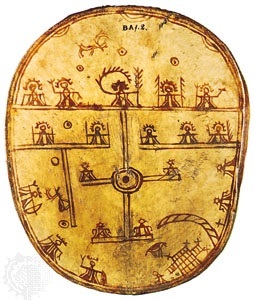 Before Christianity became widespread among the Saami, drums were used by shamans as an instrument of divination, and to reach a state of ecstasy through which they could interact with the spirit world. By entering into a trance they take on the spirit of animals. In our featured article this month, Harold Alden provides a fascinating look at the rich shamanic tradition of two indigenous peoples—the Finns and the Saami. July 8th to 12th – Initiatory Training – Phase I – introductory course. 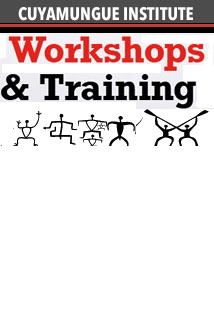 July 22nd – July 26th, 2015 – Initiatory Training– Phase II – advanced course. Thanks for reading! Please forward this to your friends and acquaintances who will enjoy learning more about us, and please let me hear from you! I am most happy answer any and all questions about the Institute or the Cuyamungue Method. We welcome all correspondence.